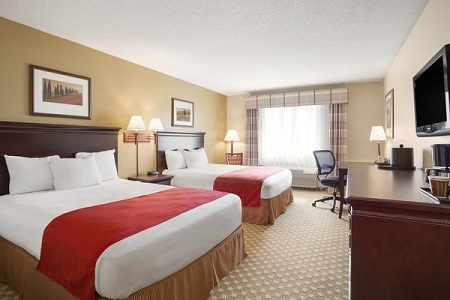 Welcome to the Country Inn & Suites® by Radisson, Lincoln North Hotel and Conference Center, NE, ideally situated off I-80 just nine minutes from Lincoln Airport (LNK). Attend major concerts and conferences at Pinnacle Bank Arena or cheer on the Cornhuskers at the University of Nebraska-Lincoln, both less than 10 minutes away. Learn more about the history of the region with an educational tour of the grand halls of the Nebraska State Capitol, and find hours of entertainment at the nearby Lincoln Children’s Zoo. If you need space to spread out, book a One-bedroom Suite and enjoy a separate living room with a sleeper sofa and a dining area with a table and chairs. Keep the whole family fed with our free, hot breakfast. Start your morning on a sweet note with a yogurt parfait, make-your-own Belgian waffles or a variety of mouthwatering pastries. We also offer a rotating selection of hot items like sausage, omelets and French toast. Later, let our welcoming staff help you choose which great nearby restaurant to try before heading to a Saltdogs baseball game. University of Nebraska-Lincoln – You can cheer on the Cornhuskers at Memorial Stadium or see the world’s largest public collection of quilts at the International Quilt Study Center & Museum on the campus of this public university, located seven minutes from the hotel. Pinnacle Bank Arena – Situated less than nine minutes away, the Pinnacle Bank Arena boasts an impressive 470,400-square-foot complex that hosts concerts, traveling shows and sports games. Head up to the open-air roof-deck to take in stunning views of the city and the State Capitol building. Sunken Gardens – A peaceful place to walk and enjoy one another’s company, these gardens showcase 30,000 individual plants. Located just 12 minutes from the hotel, the Sunken Gardens are home to the Annual Garden, which is replanted each year to feature new and exciting designs, like van Gogh’s The Starry Night. 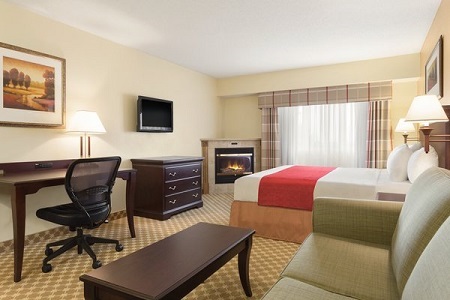 Hosting a business conference, graduation celebration or wedding in Lincoln? 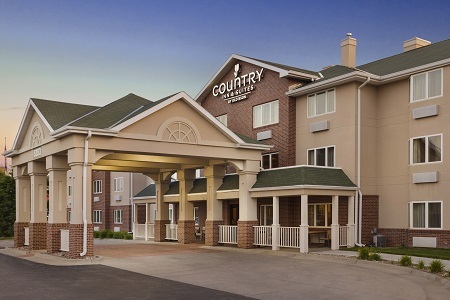 The Country Inn & Suites offers flexible conference facilities for up to 250 guests near the LNK airport. Allow our friendly staff to assist you in arranging every detail, from catering and setup to renting audiovisual equipment, to ensure your event is a success. 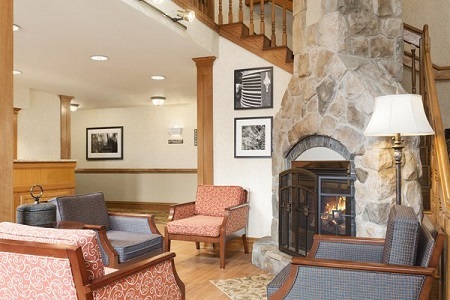 Please note that guests must be 21 years of age or older to check in to the hotel.